BioTrackTHC has traveled an interesting path on its way to becoming one of the most prominent software firms serving the cannabis industry. The Florida-based company works directly with roughly 1,300 cannabis businesses, but the key to its recent success has been its ability to win state contracts for custom seed-to-sale tracking systems. BioTrack first won Washington State’s contract over 21 other companies in 2013, netting $750,000 for the base deal and even more as part of a two-year maintenance agreement. So far in 2015, the company has won similar contracts from New York, Illinois and New Mexico, which could bring in more than $1 million in additional revenue. The company has so far won four out of six state contracts awarded to software companies for seed-to-sale tracking systems. But revenue is only one benefit: Landing government contracts has also helped BioTrack build credibility in the cannabis industry quickly, which in turn has helped the company land more retail customers. 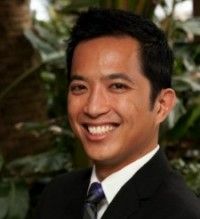 Marijuana Business Daily spoke to Patrick Vo, BioTrack’s CEO, about government contracts and the ins and outs of cannabis tracking software. Following are his comments, edited for length and clarity. What’s BioTrack’s approach to bidding on state contracts? What do you attribute the company’s success to in that arena? When a (Request for Proposal) comes out, we tear it apart. We study it. First thing we look at is making sure we’re not disqualified administratively – do we adhere to all of the rules of the RFP? We don’t want to embark on this process and put a lot of man hours into it only to find that the entire thing was thrown out because we forgot to sign a particular document. From there, we just pour our hearts and souls into it. We put it all on paper, and we submit a proposal that answers the questions specifically asked. It’s really about understanding the underlying concern for a particular requirement. The other thing is thorough review. Even in a 250-page proposal, all it takes are a few typos or grammatical errors for an evaluator to think less of the proposal. So the grammar and punctuation and spelling is all critical. You can throw hundreds of man hours into a proposal and it can all be undone because you overlooked one thing. We never go into an RFP assuming that we’ve got it. We always put in 110% effort. We work nights and weekends to make sure the proposal is something we are proud of and is going to get first place. Good enough is not an option. You either win it or you go home. Did BioTrack’s success in Washington State set up the company for success in the other three states? I would say yes. No state wants to be the last state without a state traceability system. States have now seen that they can have tools to oversee the industry, and law enforcement can utilize meaningful data to ensure industry compliance. That being said, I would imagine that no one wants to be the guinea pig for someone else’s unproven system. So our experience and our success in Washington, I feel, is an asset to our company and to our proposals. Will the newer systems be fundamentally similar or different in terms of their design? How would the Illinois system differ from any of the other three systems? At the end of the day, what I can say will be similar across the board is state personnel are going to be able to aggregate seed-to-sale data across their industry. Some states put heavier emphasis on laboratory results and the timing of those tests and how they affect the production life cycle. Other states perhaps put more emphasis on transportation and transportation manifests. So each of them will be tailored to state-specific regulations, but they’ll all have full end-to-end data to oversee the industry. Has bidding on government contracts gotten easier or more competitive over the past couple of years? Once the RFP process is concluded and the contract is awarded, the proposal is subject to the Freedom of Information Act. We work under the assumption that all of our competitors have requested copies of our winning proposals, and we’re working under the assumption that they’re studying them and closing the gap between looking at what we’ve done well. So that, of course, inspires us to continue to improve our own proposals. The fact that our winning proposals are out there for everybody to review is definitely making the competition for government contracts more competitive. Are government contracts going to become a bigger part of the industry? It’s a critical component of our long-term strategy. And obviously, it’s one thing to bid on them and win, and it’s another to execute. That’s where our attention is now now that we’ve got these contracts. Regardless of its impact on our financial position, what it continues to do is build our brand and establish BioTrack as a leader in the seed-to-sale space. I see that as a huge asset. We plan on bidding on every single seed to sale RFP that we’re aware of. That’s going to be true from here on out. Some business owners in Washington have reported that BioTrackTHC’s system is buggy and somewhat unreliable. Have there been problems? We aren’t seeing any meaningful level of complaints with the Washington system. The entire database is public and released on a monthly basis and such problems are not apparent in the underlying data that anyone can analyze. Our most recent conversation with the (Washington State Liquor and Cannabis Board) indicates no such issue. That said, we are always working with the state and users of the system to maximize its efficiency and effectiveness. Calling Biotracks implementation in Washington State a success is just asinine. Not only have producers and processors been forced to adhere to absurd and illogical practices (sub lots), the system constantly goes down and creates situations where dollars are lost. Just last Thursday the 27th, Biotrack went down for almost 3 hours forcing stores to halt sales. Those stores that had moved on from Biotrack were unaffected.Retail outlets leave Biotrack on a regular basis for more favorable programs that actually give the customer the tools they need to run an efficient retail space. It’s also the worst program imaginable for attempting to manage a food manufacturing operation. Its funny that Vo states they spend an immense amount of time pouring over the RFP’s and ensuring his company will be able to succeed in every aspect, yet they fail so miserably at being able to help food companies. How Vo thought Biotrack would be an acceptable program for companies dealing with food manufacturing is one of the most disingenuous things about the company. To call themselves leaders of the seed to sale world is absurd. They are one of the only companies that have had an opportunity to participate in this market and their approval rating is abysmal. I can only imagine Biotrack paid a hefty sum to get such a favorable interview. If the author had taken any time to go out in the field and ask the customers of Biotrack how they feel instead of just loosely stating some business owners are unhappy, this interview would never have been published. To highlight one final issue, every single producer/processor in the I502 industry has had to incur extra costs relating directly to Biotracks Sublot policy. Because of an outdated feature in a program not designed for marijuana, processors are forced to adhere to illogical manufacturing and traceability standards that do NOTHING for safety/traceability. If anything, the practice of sublots makes traceability harder and more confusing which could result in a very messy situation should a recall on anything every be implemented. Hello, I manage a Tier 2 producer processing facility in Mason County and have been using the biotrack program for about 3 months now and really haven’t had that many issues. I will say that we do not do the food processing as of yet, so I can’t speak to your pains there. We actually just started our CO2 extractions a couple weeks ago. I also don’t know anything about the retail point of sale stuff either. I did experience the inconvenience of the state system being down, but I was only unable to connect for about ~30 minutes. The one point I thought I would mention though just because the sublot thing has been a huge pain for us and our labeling is I had complained about that too because I have to have a different number for each retailer. My enforcement officer told me that it was a state rule and that everyone had to do the sublot not just people using the biotrack program. I do agree with you that it makes it very difficult to bulk package though. Like I said, I’ve only been live for about 3 months or so and I HAVE had a couple issues, but their tech trainers were actually really helpful at getting me fixed and it was partly our fault for doing a few things wrong because it’s still very new to us. Hopefully it gets better for you too. 74% of the violations issued to WA502 businesses are for traceability. A large % of recreational businesses were persuaded to purchase the commercial biotrack due to their supplying the state database, but the two often don’t integrate smoothly. For CO2 extractions the sub lot labeling is ridiculous. It has to get better since it’s the #1 source of business problems in Washington State according to LCB violations issued. Government contracts are giving more money to the government! Lets go ahead and tax our medicine and let the government get the profit! Regulate things until its no longer freedom, KEEP CALIFORNIA THE SAME! Ooops too late, Thanks, Brown you [email protected]#k! Carl Jung’s theory of an individuated person emphasizes on higher forces of nature aand their roleplay in a healthy personality.